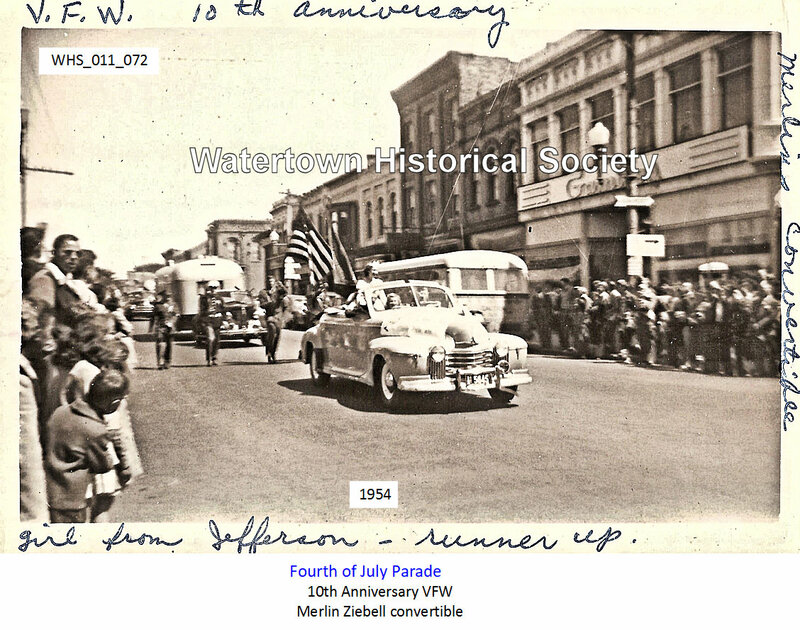 On March 14, 1939 the city of Watertown Auxiliary 3709 was formed. In 1946, the post and auxiliary changed its name to Beaudoin-Koehler-Draeger Post No. 3709 in honor of the three young men who died in World War II. The Beaudoin-Koehler-Draeger Post No. 3709, Veterans of Foreign Wars will hold its installation of officers on Saturday, April 11. The following officers are to be installed, Commander, Martin E. Voss; senior vice commander, Harvey B. Arndt Jr.; vice commander, John H. Johnson; quartermaster, Harold Barrows; judge advocate, Roland E. Dierker; surgeon, Dr. D.R. Craine; trustee three years, Les Umland. The holdover trustees are, Walter Griebenow, two years; Charles Triexler, one year. The appointed officers are: adjutant, Wallace R. Fischer; officer of the day, Clarence Kuckhan; guard, Eugene Garbisch; service officer, Harold Barrows; and youth activities chairman, Wallace R. Fischer. Eugene Schlesner, 411 Kossuth Street, past commander of the Beaudoin- Koehler-Draeger Post, V.F.W., was named all state post commander at the 46th annual state V.F.W. Convention at La Crosse. The honor bestowed upon Schlesner was due to complete phases in all programs for the year as Commander of his Post. Reuben Kottwitz, 1323 Randolph Street, and Bob Becker, Jefferson, will again head publicity for the state V.F.W. Richard E. Strohbusch Jr., 612 Jefferson Street, has been named commander-elect of Beaudoin-Koehler-Draeger Post 3709, Veterans of Foreign Wars of the United States. Strohbusch, who will succeed Albert F. Kasmiskie as the 1968-69 commander, will assume his official duties Saturday, June 29 following installation of Wisconsin V.F.W. officials at the West Allis convention. Eight members also will be honored during induction ceremonies. Membership insignia for 25 and 30 years tenure will be presented to E. E. Kuehn, charter commander; Arthur A. Ebert, George H. Herold, John H. Johnson, Abilene Tex., Benno Pitzner, George E. Uecker, Edward F. Wiese and William C. Krueger, each 30 years; and Vane Peck, 25 years. The Auxiliary of Beaudoin-Koehler-Draeger Veterans of Foreign Wars Post No. 3709 will celebrate its 50th anniversary with a dinner Saturday at the post home. A program and musical entertainment will follow. 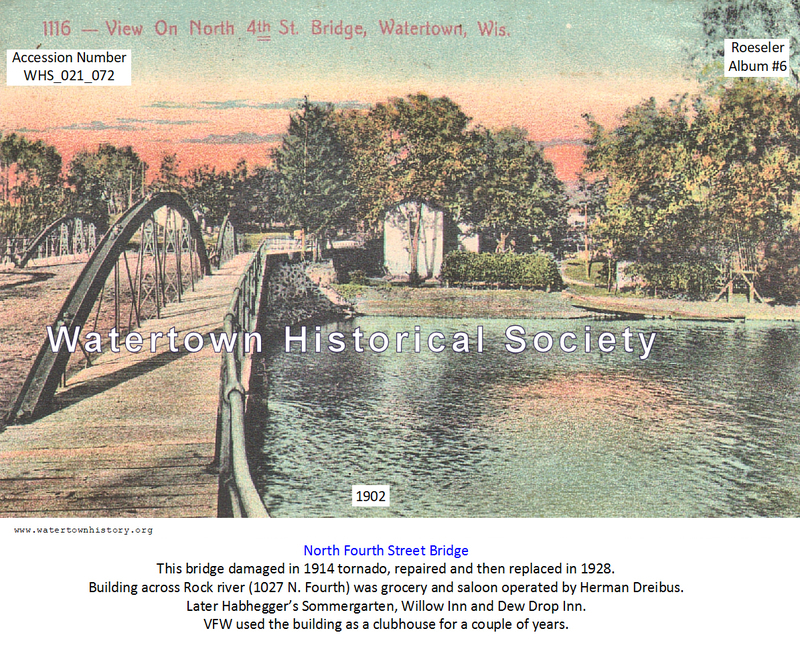 On March 14, 1939 the city of Watertown Auxiliary 3709 was formed by department president Kathryn Lysaker of Onalaska. The group received a charter on May 21, 1938 when second district organizer Dorothy Kiggens of Portage installed the officers. Twenty four names appeared on the charter, which closed July 11, 1939. The first auxiliary colors were purchased in 1941-42 with funds received from the sale of a cedar chest at a picnic. On Nov. 12, 1949 the group moved to the Armory and the Women’s Relief Corps gave the group its first color bearer flag. The 50th anniversary of the auxiliary to the Beaudoin-Koehler-Draeger Veterans of Foreign Wars Post No. 3709 was celebrated Saturday with a dinner and program at the post home. About 100 members, guests and past officials attended the anniversary celebration. 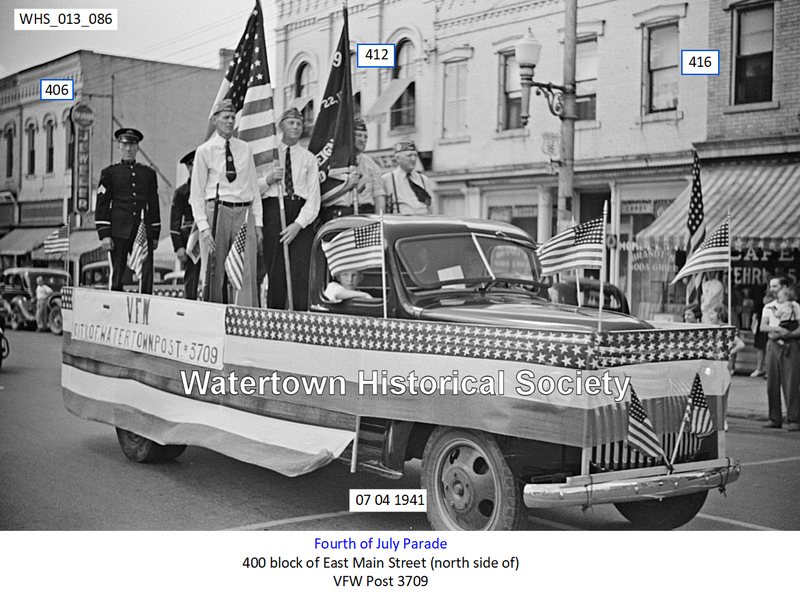 The city of Watertown Auxiliary 3709 was formed on March 14, 1939, by Kathryn Lysaker of Onalaska. Twenty-four names appeared on the charter. In 1946, the post and auxiliary changed its name to Beaudoin-Koehler-Draeger Post No. 3709 in honor of the three young men who died in World War II. 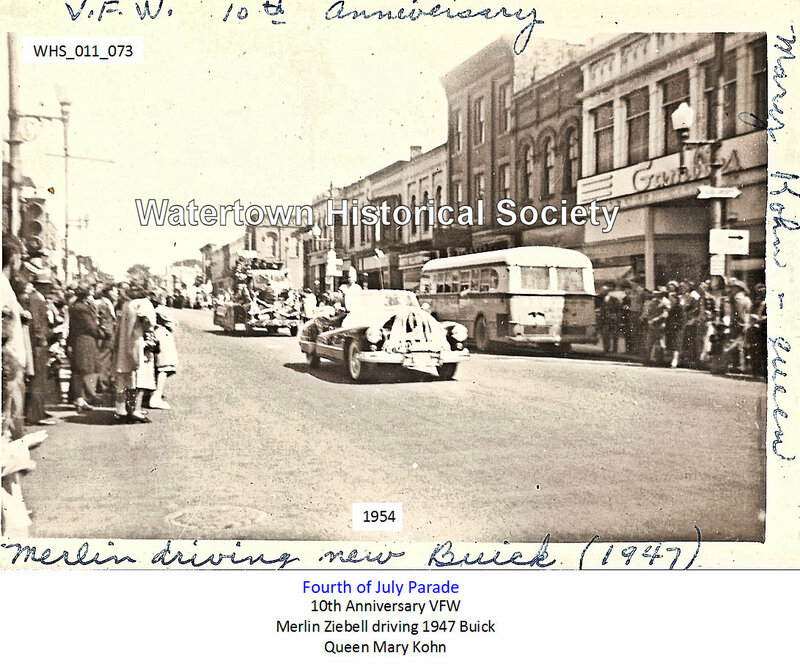 The VFW used the building at 1027 N. Fourth Street as a CLUBHOUSE for a couple of years.